The bracelet is no longer simply a style boost. Wrist accessory also serves to monitor the condition of the body. There are things called and created at the same time as the Fitness Tracker that will combine the two functions mentioned. 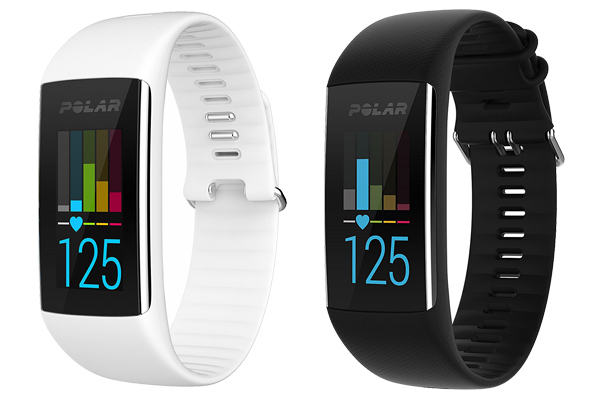 Using a color display and touch screen technology, Polar is present in the midst of market competition among other fitness tracker. The two products that you can find as a regular featured product is the Polar A360 vs. Polar A370. The review will we make there are below. Polar A360 have very complete features. For the first time for Polar, fitness tracker can monitor his heart rate in addition to the physical activity and sleep patterns of users. In order not to feel monotonous, A360 also offers the feature of Smart Coaching that will give practical advice related daily targets as well as how each activity will affect health. A360 will also forward a variety of notification goes into smartphones, ranging from phone calls, text messages, or even alert the user when he has sat for too long. All data recorded can be evaluated via the Polar Flow applications available on the Android and iOS. Polar A360 comes and is available in small, medium and large, wearers which all is guaranteed by a comfortable fit throughout the day. With its soft silicone wristband which is existed in powder white, charcoal black, neon green, sorbet pink or navy blue, the Polar A360 is stylish and understated too. You have to make it fully charged to make the Polar A360 will track for two weeks with 24/7 activity tracking, including one hour of training per day. It also can work with Polar’s H7 heart rate monitor in case users prefer to train with a chest strap. Polar A370 can display performs splendidly under low lighting conditions but visibility under bright sunlight may be a challenge. This is a wearable watch which has a thick on the profile so it will not go unnoticed. The back of the A370 is where the charging port (micro USB) and optical HR sensors are housed. The battery can last at least 3 to 4 days worth of use before charging is required. This will depend on usage; whether smart notification is enabled and duration of workout. In my case, you will be able to go 4 days worth with 2 workouts (30 minutes each) thrown in. This fitness tracker also is built-in GPS tracker and can connect with a mobile phone to use its GPS is pretty cool. It becomes continuous heart rate measurement which is created to exercise targeting your heart rate zone, you need to know your heart rate continuously. In addition, you can take Polar A370 to shower or swimming thanks to its 30 m water resistance. The benefits you will get not only that, but also optical heart rate measurement through your wrist, smart coaching of Polar which contains calorie measurement obvious sport profile and many more, small subtle appearance, and phone notifications plus twitter, etc. The Polar A370 is actually like a replica of the old A360 which was released in 2016. In all aspects, our eye will find it hard to differentiate between the former and the latter. Surprisingly, even the wrist straps between Polar A360 vs A370 are exchangeable. However the A370 brings with it a new slew of features that would make the predecessor is being lost. The features are including HR measurements, HR broadcast via Bluetooth Low Energy (BLE), Sleep Plus algorithms to better track recovery, and connected GPS by tapping on the connected mobile device’s GPS.